You'll have to forgive my ignorance with regards to deploying this code. I have written some code to modify an event reciever. I have set up a development environment for sharepoint. The development environment is now running fine without any issues. The following code is that which I would like to test. However how would I go about actually testing this code and event reciever on my development sharepoint environment. Insert a breakpoint to your event receiver, press F5 to debug. 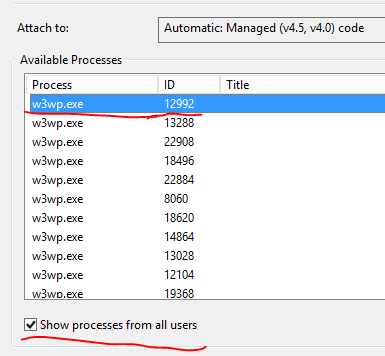 Go to %windir%\system32\inetsrv in cmd, find your web application process. Attach the process and debug. Not the answer you're looking for? Browse other questions tagged sharepoint-enterprise event-receivers word or ask your own question.